It is a requirement for all 2WD cars to be equipped with chains within the National Park, in the case of poor weather. Random chain checks are undertaken in the national park and if there are found to have no chains in the car (do not need to be fitted to the tyres in good conditions) a fine will be issued. While 4WD and AWD vehicles are not required by law to carry snow chains, it is recommended they do so due to the high incidence of vehicle accidents in Kosciuszko National Park. Chains are available to hire from the BP in Jindabyne (which is open 24 hours) at an approximate cost from $45* for 5 days. Departs from Canberra Airport, Pavillion on Northbourne & Mantra on Northbourne Fridays & Sundays. Departs: Canberra Airport & Canberra Central Europcar and Thrifty are recommended and can be pre booked with your consultant as well. Chains are required by law. Park entry fees apply per vehicle/per day. Park entry fees: Winter (Alpine Way, Kosciuszko Rd and Link Road) From start of June long weekend to end of October long weekend: $29* per vehicle per day (24hrs); motorcycles $12*; bus passengers $11.45* per adult, $3.60* per child per day(24hrs). 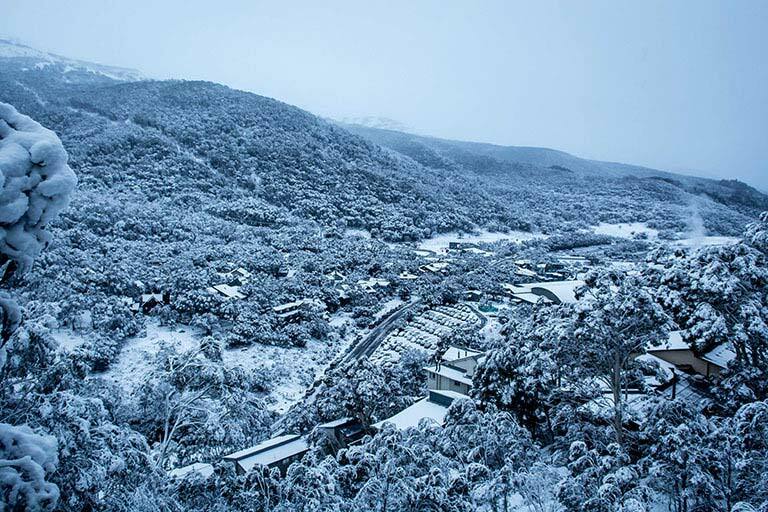 For accommodation where parking is not provided there are overnight car parks available (free of charge) opposite the Woodridge Estate, adjacent to the Thredbo Leisure Centre (TLC) and behind Woodridge Stage 3. In most cases, you can unload your luggage at your accommodation before parking. A valid National Parks Pass must be displayed on your windscreen when parking overnight. Shopping Centre Jindabyne. Each person will need to have their photo and details taken for their card. Cards cost $5* per person. Lift Ticket includes FREE lift access on the afternoon preceding your first full day of skiing/boarding. The Thredbo Sports Retail and Rental Outlets are located on mountain at Friday Flat and Valley Terminal and are open 8.00 – 4:30 for collection. Please remember your Lift Pass as it is required to start the rental process. Adult Group Lessons meet at either 9:15, 11:15 or 1:45 for a 9:30, 11:30 or 2:00 start respectively*. All Adult Group Lessons meet and depart from Friday Flat at the Group Lesson flags. Alpine lessons meet near the base of the Easy Does It chairlift and Snowboard lessons meet adjacent to the Gunbarrel Express Chairlift. Children attending a Thredboland or Burton Riglets Program meet inside the Thredboland building on Friday Flat. Drop off is from 9:00-9:30 and pick up from 3:30-3:45*. The Full day Freeriders program meets at the Freeriders Flags near the second tower of the Gunbarrel Express Chairlift on Friday Flat. Drop off is from 9:00 and pick up is at 3:45*. Teen Sessions and Half Day Freeriders Programs also meet at the second lift tower on the Gunbarrel Express Chairlift. 1st timers on their first day can be dropped off at 9:15 or 12:45 and pick up at 12:15 or 3:45 respectively. For all other levels and for 1st timers on Day 2 students can be dropped off at 12:45 and pick up is at 3:45*. The Thredbo Childcare Centre located inside the Thredbo Leisure Centre is open from Mid - Jun through the end of Sep. Childcare centre opening hours is from 8am to 5pm, with whole day, morning or afternoon programs available. Cascades Restaurant: Indulge in a menu of modern Australian cuisine with an emphasis on fresh seafood, tender meats and delectable desserts. Children are welcome with reservations recommended. Eagles Nest: Type: Bars, Cafe, Casual dining, Child Friendly, On Mountain, Restaurants. 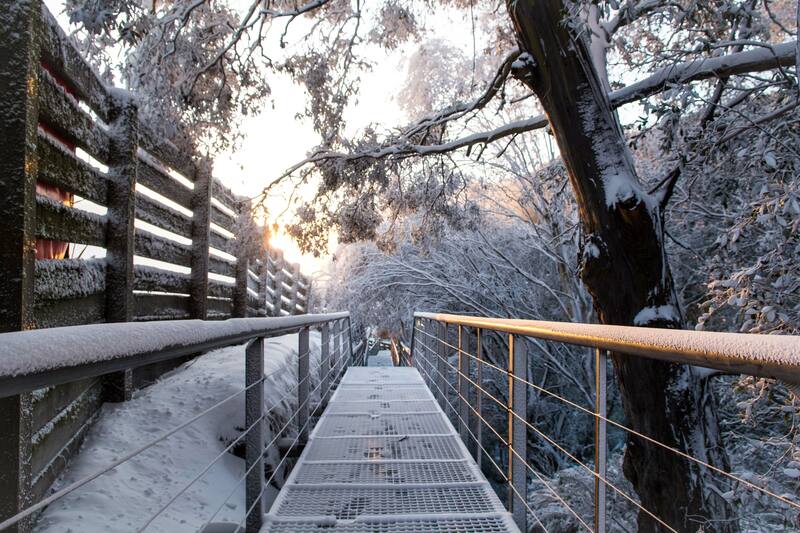 Take the Kosciuszko Chairlift to the top from Thredbo Village, and stop for a delicious mountain breakfast, lunch, tea or coffee with some of the best views.